The list of advanced gadgetry that comes crammed inside many of today's luxury vehicles is growing longer than a Stephen King trilogy. But if spending £100,000 on a new runaround doesn't appeal, there are also a growing range of retro-fittable solutions for your banger, ride or whip. 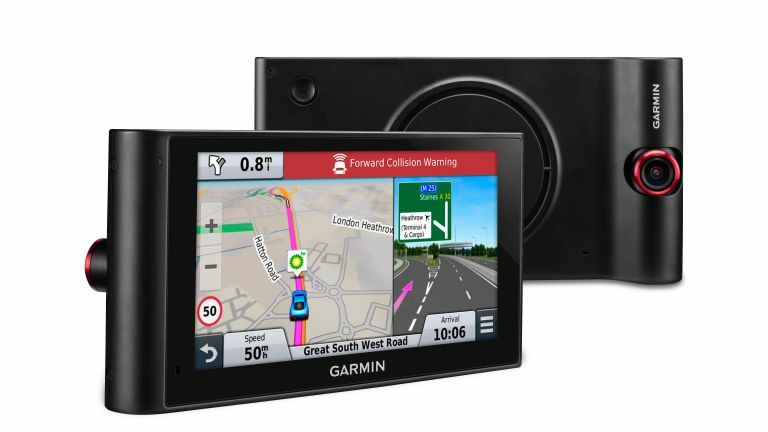 Garmin's £299.99 nüviCam aims to transform any car into a high-tech, premium cruiser by packing multiple technologies inside one neat package. On top of the typical navigation system, the nüviCam also features a front-facing dash cam that continuously records onto a microSD card. When the system detects harsh braking or an impending collision, it begins saving files so the driver can later use them to aid insurance claims or provide hard evidence should the situation end up in the courts. Insurance providers in other countries have also offered discounts to users of dash cams: let's hope that happens with this one too, eh? Hopefully owners will never need to use the "imminent crash" functionality because Garmin's latest offering also features a Forward Collision Warning function, which alerts the driver if they are too close to the car ahead, as well as a Lane Departure Warning that sounds an alert if the car drifts out of its lane. The basic act of navigating doesn't escape a high-tech makeover either. Drivers can use voice commands to route to a destination, while the Garmin Real Vision function overlays arrows and directions over a live video feed from the camera. The company claims this can help to find a particular house number on a busy street. A Smartphone Link service also allows users to tether iPhone and Android devices in order to beam real-time data, such as weather and destination details, directly to the device. However, the nüviCam is already pre-loaded with details of local amenities, including restaurants, fuel stations and rest areas, while Garmin offers free lifetime map updates to ensure the device remains abreast of any road layout and infrastructure changes. Garmin BC 30 Wireless Backup Camera owners will also be able to link their reversing aid to the nüviCam's six-inch pinch-to-zoom glass display. The £299.99 asking price seems steep for a stand-alone navigation system but it's a lot cheaper than a shopping spree at your local BMW or Mercedes garage.